When it comes to digital music synthesizers, choosing one that will make your workflow easier and fun is no simple task. With synthesizers being created every day with each one claiming to be king of the musical hill, how do you sift through the rubbish to get a gem? How do you get real value for your money without compromising the quality of your final output sound? So many questions, but fortunately they all have one answer – the Spectrasonics Omnisphere virtual synth. But first, what makes a good virtual synth? To understand how a synth works, you need to understand how music, and sound, in particular, works. In a nutshell, it’s all about creating waves at different frequencies. When it comes to synthesizers, there are 3 fundamental components that work together to produce the sound you’re after. An Oscillator. This is what generates the wave and also changes its pitch. In virtual synths, this is an electrical signal. A Filter. Filters cut out certain frequencies in the wave to change the “timbre”. This is where virtual synthesizers start messing with harmonics. Filters basically give the signal wave the character or sound you want to produce. The filter knob on your synthesizer basically allows you to filter out unwanted signals and allowing the required signals to pass through, creating the sound you desire. An Amplifier. The amplifier then takes the signal you have created and makes it bigger, or in music terms, louder. The amplifier can also manipulate the amplitude of the waves, thereby determining the attack, the decay, and the sustain. Sounds simple enough on paper but very hard to pull off practically. 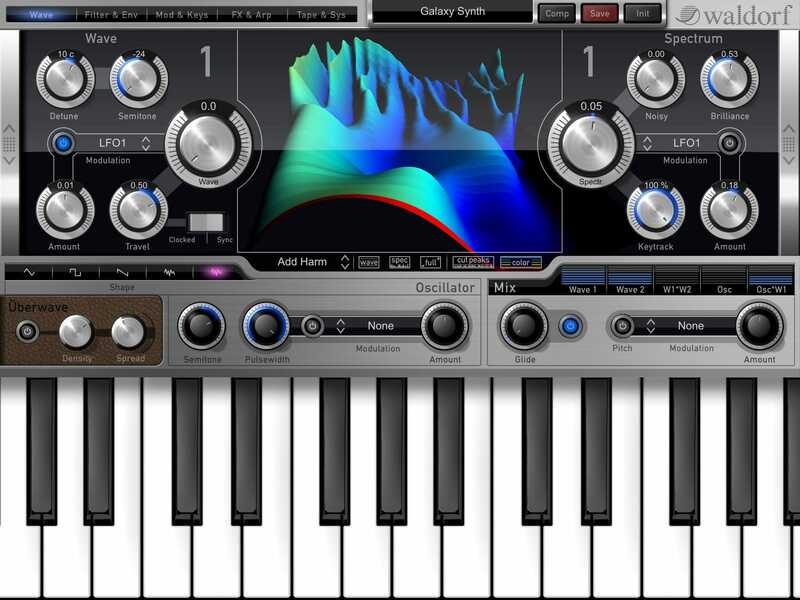 That is why not every virtual synthesizer is a good synthesizer, bringing us to our synthesizer of choice – the Spectrasonics Omnisphere. 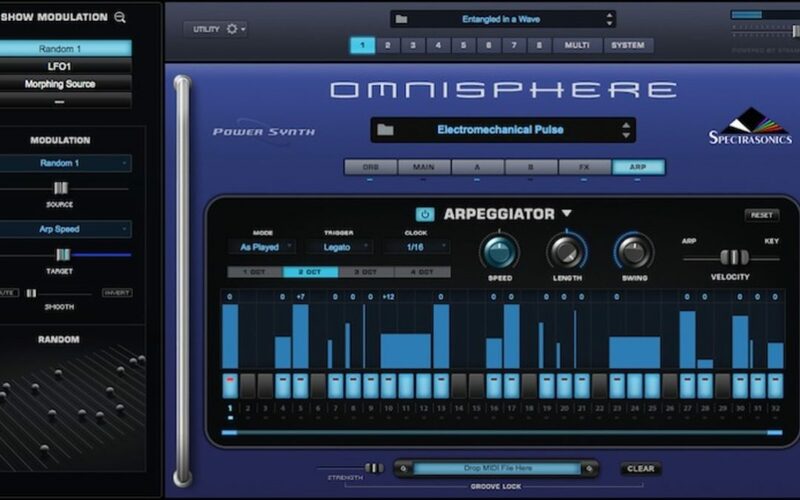 The new and very much improve Omnisphere is a virtual synth that comes power packed with amazing features and a rich library of oscillator wavetables – I hope you remember why oscillations are integral to your synth. From being able to use your own sound source to the ability to manipulate and morph waveforms to produce unique sounds to new effects and a massive sound library, the Spectrasonics Omnisphere is one synth that will give you everything you need and more. One of the coolest features is the “Sound Match” feature that lets you quickly find any related sounds in its vast library, saving you a lot of time. The Spectrasonics Trilian Bass has a massive 34 GB library of bass instruments for you to choose from which include an acoustic bass with 4 separate mic/pickup channels, 6 electric basses, and a lot of other synth sounds. Spectrasonics’ Trilian Bass is a very powerful and deep instrument that will keep so busy you’ll blissfully get lost in the music. Every patch sounds brilliant making it great for ‘lead’ bass sounds. The performance features and effects of the Trilian Bass enable you to create unique and signature tones so easily you won’t want to stop. For those groove fanatics out there, this one’s for you. 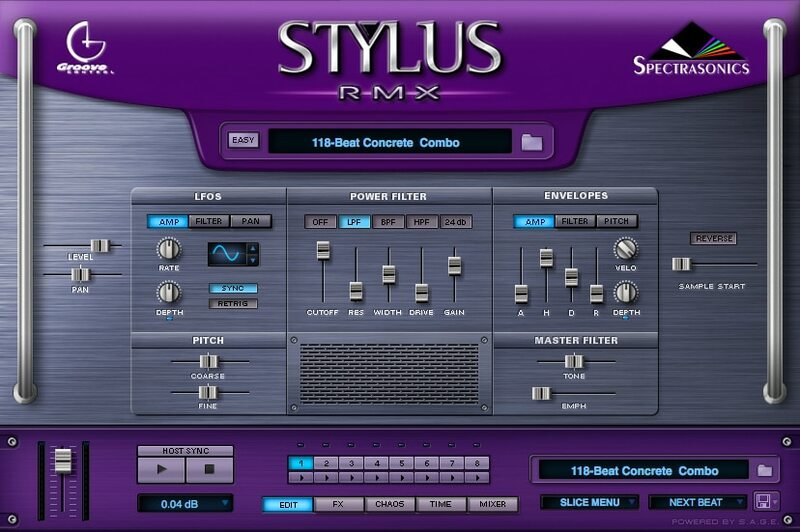 The Spectrasonics Stylus RMX is a groove-based instrument plugin containing thousands of hip and groovy sounds produced by the heavy hitting producer and founder of Spectronics, Eric Persing. The Stylus RMX Xpanded has thousands of Kit modules, 250 Kit patches, and also gives you the power to create your own customized multi-track remixes. 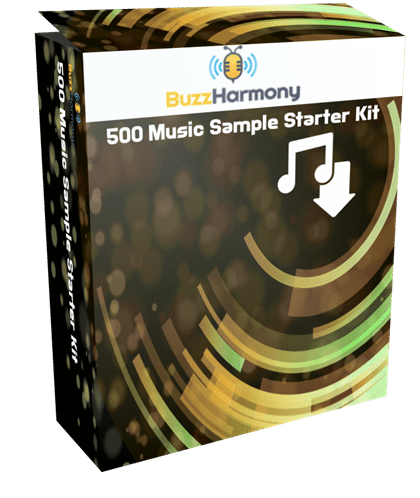 Once done, you can save your remixed grooves and kits in the plugin and even share them with other Stylus RMX Xpanded users – no matter the platform they are using. This is one of the best remix tools on the market and it will easily help you shine wherever you may choose to showcase your artistic side, be it in your basement or at the club. We have come full circle from our starting point. Remember the question we asked? So what makes a good synthesizer? The answer is so simple it can be elusive – you and Spectrasonics. The explosive combination of their innovation and your deeply sublime creativity make for a partnership that is set to change the music scene – even if it’s just the local scene. But who knows, music is a funny business where legends can spring up from anywhere.